In today’s current economic environment, consumers need a source of affordable housing and home ownership equity without significant cash down payments. You don’t need fancy finance programs or low equity options to achieve home ownership. You should improve your personal net worth within months of your purchase thanks to value engineered, cost effective plans. You can live where you want because we build on your lot, and because of this we don’t carry the risk and expense that typical builders do. That’s the risk that has forced many builders into bankruptcy. This is why you can feel safe choosing Red Door Homes as your builder. It all started with a decision. Frustrated by the lack of value driven home builders in the United States, our company was founded by a group of builders determined to fight the rising costs of buying a home. 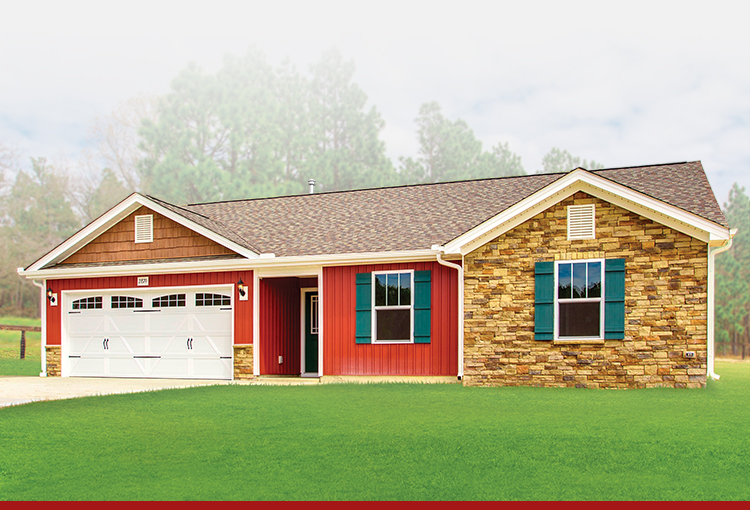 To learn more about Red Door Homes in your area, contact your local office or register online. A painted red door has in some areas of the United States meant that the owner’s home was completely paid off. In other areas during the early 1800’s it meant that a weary traveler would be able to stay a night at a reasonable fee. For us, both give inspiration to Red Door Homes meaning today. Most consumers don’t know how inefficient the typical home builder is. Thousands of dollars per home are wasted each year on poorly designed plans, outdated building practices, and poor controls over the cost of constructing your home. This inefficiency is passed on to you the consumer which leads us to ask one question – what would happen if you had the best designed plans, the most efficient, proven building techniques and the best controls over the cost of constructing a home in the industry? Our answer – a low cost, high quality home designed to maximize the most usable square footage possible for the price.